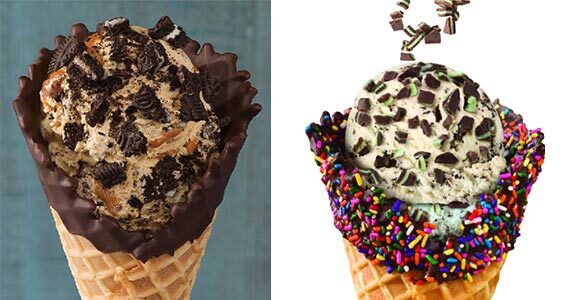 Baskin-Robbins is offering a Fancy Cone Ice Cream Sample on the Fancy Cone Sampling Day on Sunday, April 7th from 3pm to 7pm! Stop in for a taste of “Make it Amazing” and try 1 oz. of ice cream with a waffle cone chip dipped in chocolate and decorated with rainbow sprinkles. They’re also offering a cone and topping upgrade for only $1!